The management of Enterprise Content and Records includes planning, implementation, and control activities to store, protect, and access data found within electronic files and physical records such as text, graphics, images, audio, and video. ECRM is mainly concerned with the capturing, safe storage, controlled access, and day-to-day usage of data and information (content) stored outside relational databases. Within ECRM, emphasis is placed on content integrity and controlled access to content, and is therefore roughly equivalent to data operations management as pertinent to relational databases. In ECRM the focus has shifted beyond the purely operational focus and its strategic and tactical focus now overlaps with other data management functions in addressing the need for enterprise-wide data governance architecture, information security, managed meta-data, and data quality for unstructured data. Document management, which includes storage, inventory, and control of electronic and/or paper-based documents. 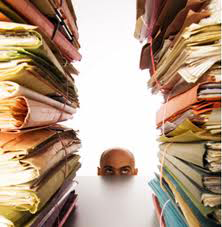 Document management includes records management . 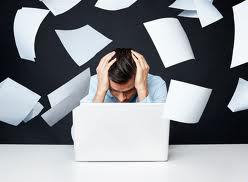 Document management encompasses the processes, techniques, and technologies for controlling and organising documents and records, whether stored electronically or physically on paper. Content management refers to the processes, techniques, and technologies for organizing, categorising, and structuring access to information content, resulting in effective retrieval and reuse. Content management is particularly important in developing websites and portals, but the techniques of indexing based on keywords, and organizing based on taxonomies, can be applied across technology platforms. Content management is commonly referred to as Enterprise Content Management (ECM), implying the scope of content management is across the entire enterprise. In general, document management is more concerned with the actual files and less awareness is applied towards the actual file content. The information content within a file may guide how to manage that file, but document management treats the file as a single entity or object. Content management looks inside each file and tries to identify and use the concepts included in a files information content. Kwezi Software Solutions can assist organisations with corporate initiatives to identify, capture and disseminate unstructured information throughout the organisation, in an effort to organise this content in a meaningful way by creating taxonomies and metadata definitions. We will also assist to deliver content through various channels and search mechanisms in an effort to organize the content in a "meaningful" way. Kwezi Software Solutions provides ECRM consulting and implementation services that covers the management of information within the entire scope of an enterprise whether that information is in the form of a paper document, an electronic file, fax, e-mail or even audio and video. By assisting enterprises to implement an ECRM strategy to control critical business information, Kwezi Software Solutions aims to achieve time and revenue savings, streamline information access, and close the loop between business strategy and ECRM. At Kwezi Software Solutions we do not merely strive to provide the client with the most effective solution, but we also optimise performance, increase efficiency and maximize ROI. We aim to make the management of corporate information seamless through simplified storage, security, version control, automated routing, and retention. Benefits achieved by implementing efficient ECRM in an organization include improved efficiency through better control, and reduced costs. Our delivery options include project-based, as well as on-site/on-demand services and support. Our team's combined extensive industry expertise provides you with comprehensive ECRM knowledge from the Banking and Financial Services, Public Sector, and Telecoms sectors. Our content management experts will assist you to assess the ECRM maturity of your business and use a transactional content management model to help you successfully define and manage a change driven enterprise information strategy. Our services include solution architecture, system analysis, design, configuration, customisation and/or bespoke development, as well as integration and support. Definition and development of enterprise specific file plans. At Kwezi Software Solutions we understand the challenges to provision capital outlay and we therefore provide ECRM Software as a Service to clients that do not have the capital outlay to effect an enterprise-wide ECRM implementation. By paying a monthly or annual fee for content management services enterprises can manage their documents and records and use task automation via workflows without the need to invest and/or pay annual maintenance fees.